The wallpaper really looks gothic! Really beautiful and gothic indeed! I love all pictures of Arina Tanemura. What a goth Heine! Oh, I didn't like her eyes here, what Tanemura-sensei did? Anyway, thanks for sharing this nice pic! Really pretty. The lines are soft, and the colors are warm and lovely. Love her expression in this, and the hair is just so well done! Is it really haine ? 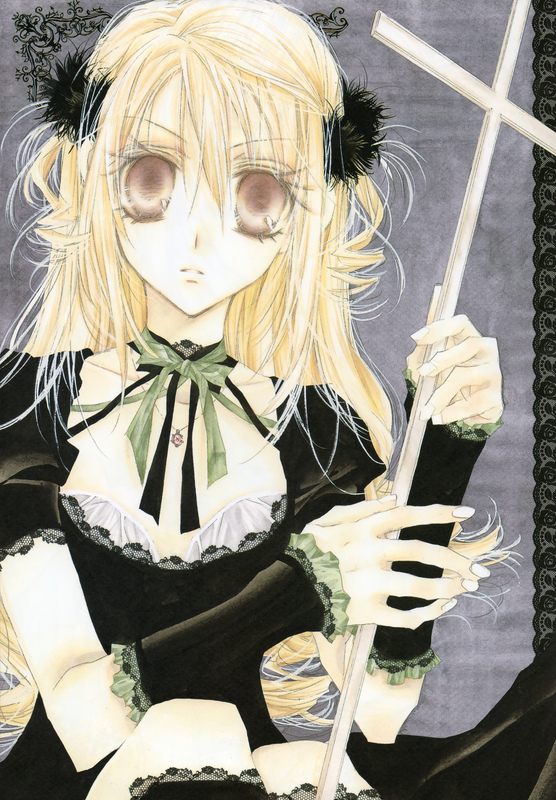 Mainly Haine's eyes, looks so beauty.